Have You Read the Qur’an? Last week, a commenter on this blog stressed how important it was for those concerned with the resurgence of Islam to read the Qur’an in its complete form. He was correct to do so, and his recommendation is sound. “Men have authority over women because God has made one superior to the other, and because they spend their wealth to maintain them. Good women are obedient. They guard their unseen parts because God has guarded them. As for those from whom you fear disobedience, admonish them, forsake them in beds apart, and beat them. Then if they obey you, take no further action against them”. It’s strange to think that it was 1400 years ago that some gentleman in the Arabian desert wrote these words, and yet every detail in his articulation now affects over a billion living citizens of the world. The sentence “They guard their unseen parts…” has by-itself chosen the dress for a massive portion of female humanity. That person in the desert, scraping these words onto the bones of an animal, or onto papyrus or stone tablets, decided then what a Muslim woman in Leicester will wear today. Such are the giddying quantum mechanics of history. “Regarding infidels (unbelievers), they are the Muslim’s “inveterate enemies” (Sura 4:101). Muslims are to “arrest them, besiege them and lie in ambush everywhere” (Sura 9:5) for them. They are to “seize them and put them to death wherever you find them, kill them wherever you find them, seek out the enemies of Islam relentlessly” (Sura 4:90). “Fight them until Islam reigns supreme” (Sura 2:193). “Cut off their heads, and cut off the tips of their fingers” (Sura 8:12). I’ve no longer got my copy of the Penguin translation. I think I gave it to Age Concern just before I left for University. I will re-order the same volume and would strongly advise anyone concerned about Islam to order a copy too. It is hugely irritating to have one’s Islamophobia returned with the remark “You don’t know anything about Islam”. That was never true. I discovered as much as I need to about the Islamic religious system many years ago. Nevertheless, a good knowledge of Qur’anic quotation is vital to successfully conduct a live argument with the faithful. A Muslim does not consider this text as Christians consider the New Testament. 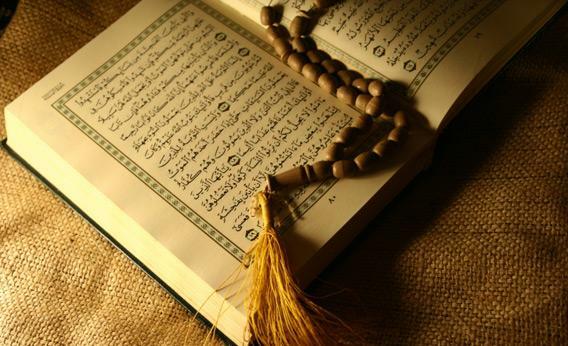 Muslims devoutly believe that God wrote the Qur’an and that every sentence must be the absolute truth. Given its purported author, Muslims also hold that it cannot be argued with or re-interpreted. It must be followed without question. This makes Qur’anic criticism by far the most effective means of confronting Islam as a manner of life and thought. 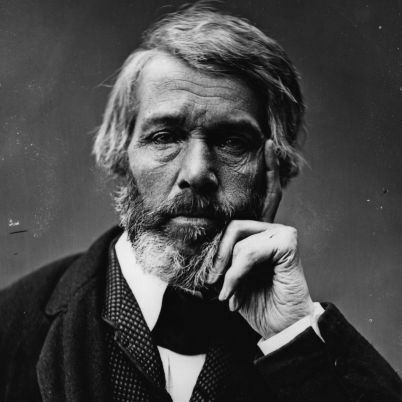 Thomas Carlyle, Goethe and the Prophet Muhammad. Very few writers either merit or can withstand comparison with William Shakespeare. The only two I would dare to suggest are Edward Gibbon and Thomas Carlyle. The first, in his Rise and Fall of the Roman Empire, demonstrated a perfection in writing that has never been (and may never be) surpassed. The second, in his history of the French Revolution and his essays on Heroism, exposed the wilder possibilities of language, blurring the boundaries of thought and emotion, poetry and prose. So in the past few months of frantic intra-national diplomacy, it’s been saddening to hear so little about Scotland’s greatest writer. Andrew Marr’s ‘Great Scots’ BBC series surveyed in detail the likes of Hugh Mcdiarmand and James Boswell, but had nothing to say of a man who influenced history in a greater and more dynamic way than either of them. War leaders and men of power are particularly drawn to Carlyle’s thrilling voice. When the meth-addicted dictator Adolf Hitler lived out his last few days in the Fuhrerbunker, the book at his bedside (which – I’m pleased to say – he never got the chance to finish) was Carlyle’s history of Frederick the Great. On the other side, Sartor Resartus (Carlyle’s satirical novel) was referenced approvingly by the allied commander in the Pacific. Carlyle’s writing is in some ways alike Wagnerian music. It makes the reader want to become something better than himself. Through its chaotic poetry, it breeds an orderly ambition. Alongside the connection with Hitler, you may have also heard Carlyle’s name associated with that of the Prophet Muhammad. Muslims are known to bring him up because of the author’s portrait of the prophet in ‘Heroes, Heroism and the Heroic in History’ – a book advancing the Great Man Theory of history. Other positive comments are forthcoming from the same work. This use (or rather misuse) of Carlyle is typical of Muslim dishonesty. Carlyle, though he admired the impact of any great figure of world-history, retained a more exact part of his intellect for comparative judgement. “Only a sense of duty could carry a European through the Qur’an.” he wrote in a section of the same book quoted less often by Muslim observers. In that same paragraph, he pronounces the book in general to be a “wearisome confused jumble” and Islam to be greatly lacking relative to his own (fiercely held) Protestant faith. The same dishonesty that allows Muslims to make use of Carlyle also permits mistreatment of the reputation of Goethe. Regarded by Germans to be the equal of Shakespeare, the polymath Goethe was a notably cosmopolitan figure, run through with a very optimistic kind of xenophilia. His poems took elements from numerous foreign traditions, including in his ‘West-Eastern Divan’ volume, the traditions of the Middle East. That book contains poems which glorify the Prophet of Islam, sometimes comparing him to the giants of Greek and Roman mythologies and more or less (unlike Carlyle) maintaining a positive tone throughout. However, the truth of the matter is that Goethe (writing in a less-informed age than Carlyle) had very little knowledge of the Middle East and Islam as they actually were (and still are). Indeed, his kindly impressions of the culture of Islam were drawn almost exclusively from the poetry of the Persian (pantheist) Hafiz. This is hardly valid. More generally, the Muslim longing to find in Western thought a validation for their own historical glories is really quite revealing. Do they concede (even if just inwardly) that the West has the clearer mind and the intellectual upper-hand?